NRG Solar expects to complete the 66 MegaWatt (MW) Alpine Solar project by the end of this month. 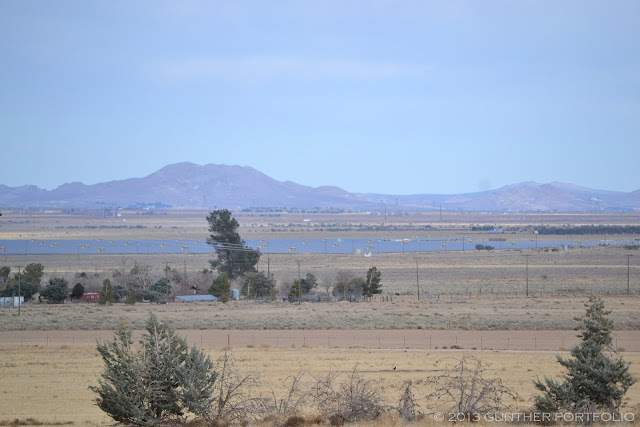 Heading east on State Route 138 towards the First Solar, Inc. (NASDAQ:FSLR) AVSR1 (Antelope Valley Solar Ranch One) 230 MegaWatt (AC) project on New Years Day, I noticed a rather large solar array to the northeast. 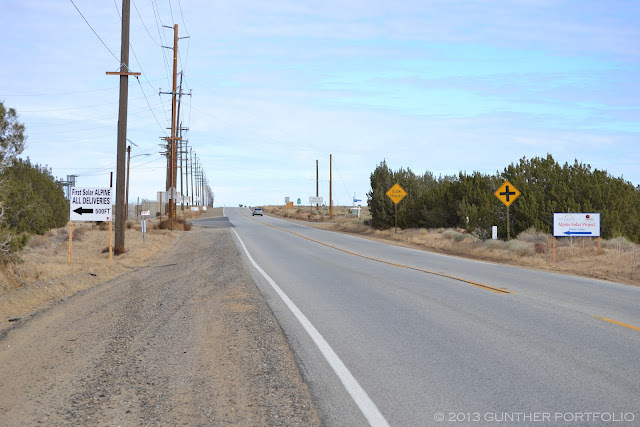 At the time, I thought it was the western most portion of AVSR1, so I doubled back and took a few photos. Continuing east, I was greeted by signs for the NRG Alpine Solar Project delivery entrance at 210th St. West. Flanked by the Neenach Substation, I thought this was the project entrance and did not investigate further. I should have turned here onto the public road and proceeded towards West Avenue C where the project is located. NRG Solar, a subsidiary of NRG Energy, Inc. (NYSE:NRG), had partnered with eSolar on the original Alpine SunTower project, but decided to switch to PV (photovoltaic) solar over project timing and bankability concerns. 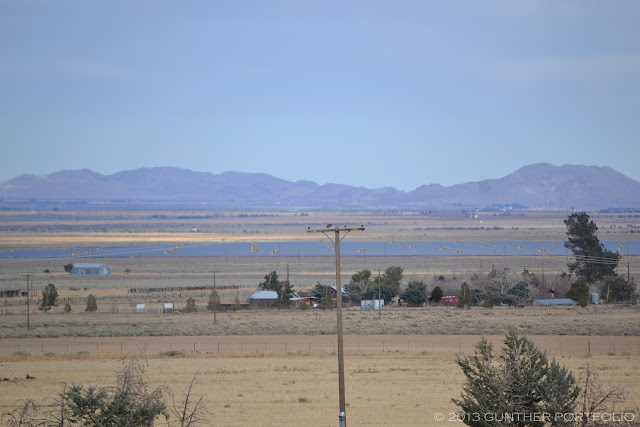 NRG then partnered with First Solar to build, operate, and maintain the 66 MW (AC) Alpine Solar project. Electricity generated by the project will be sold to PG&E Corporation (NYSE:PCG) under a 20 year PPA (Power Purchase Agreement) to meet California Renewables Portfolio Standard (RPS) goals. In response to my inquiry, an NRG spokesperson said: “We expect to complete Alpine by the end of this month.” Alpine Solar was supposed to be completed by 3Q12 (third quarter of 2012) until a First Solar dispute with Los Angeles County over module and connector certifications delayed installation. I was glad to get the confirmation from NRG. Through photo analysis, I identified forty-nine odd inverter enclosures that appear to be from SMA America, LLC, a unit of SMA Solar Technology AG (ETR:S92), approximately correlating to 66 MW. Trimark’s announcement certifying the Schweitzer Engineering Laboratories, Inc. SEL-734 California Independent System Operation (CAISO) meters for the Alpine Solar project also confirmed final interconnection and acceptance testing were underway. The Alpine Solar project covers the land area bounded by Ave B, 210th St. West, Ave C, and 220th St West after the addition of a 35 acre (14.2 hectares) parcel. While the eastern land area is undeveloped, NRG is in discussions with offtakers for a 26 MW Phase 2 PV project on the site. The Los Angeles County Department of Regional Planning case documents for the Alpine Solar Project Conditional Use Permit are here. Per the “Projects Under Construction” slide from “NRG’s Third Quarter 2012 Results Presentation”, the 26 MW Borrego, 66 MW Alpine, and 25 MW Avra Valley solar projects were supposed be completed in 4Q12. Since Avra Valley Solar was completed last month, only the Borrego Solar project’s expected completion date is still outstanding. My heart goes out to the family and friends of Gary D. Conley who was found dead last weekend. I met Mr. Conley, the co-founder and first CEO of SolFocus, in the early days of this blog. KGO Radio Solar Project Update: SolFocus Installed!